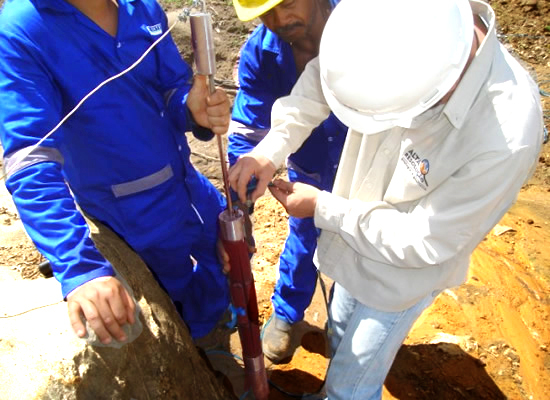 The Crosshole test determines the modulus of elasticity of rocks "in situ " . 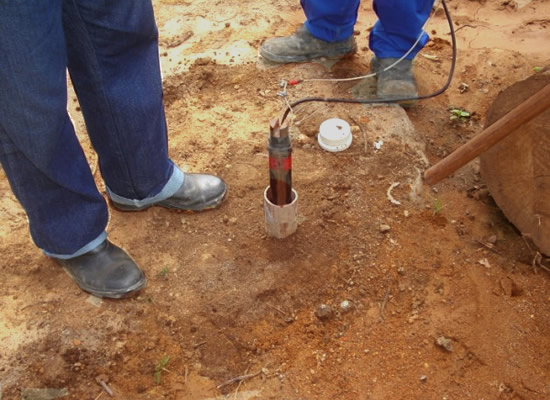 This test consists in the generation of seismic waves P and S in a borehole (source) and their recording in one or more adjacent holes (sensors), where source and sensors are in the same level of investigation. 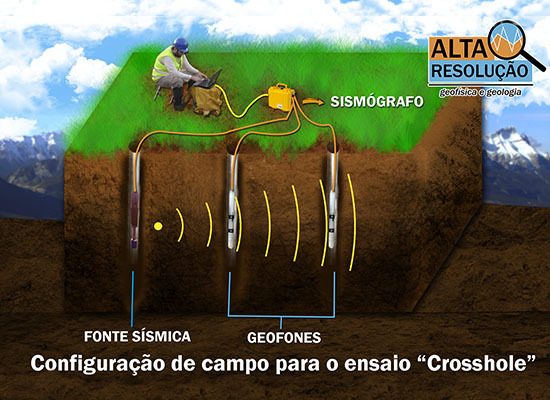 The purpose of this procedure is to capture the waves that propagate in the subsurface without suffering the phenomena of refraction and reflection, that may mask the signals of interest . 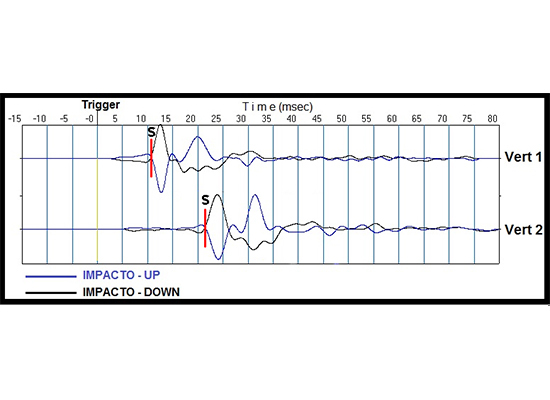 The trajectory of the wave between the source and geophone is straightforward. 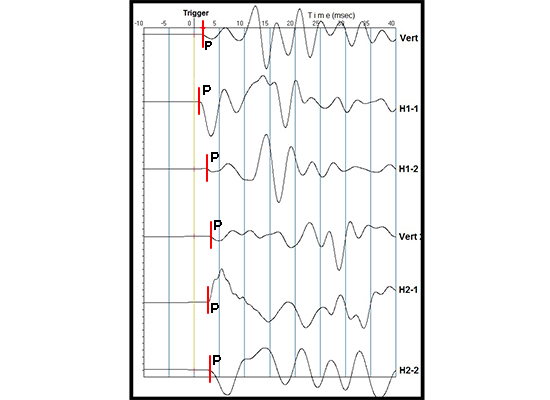 This makes the identification of P and S waves easier to be identified and measured to be more precise. 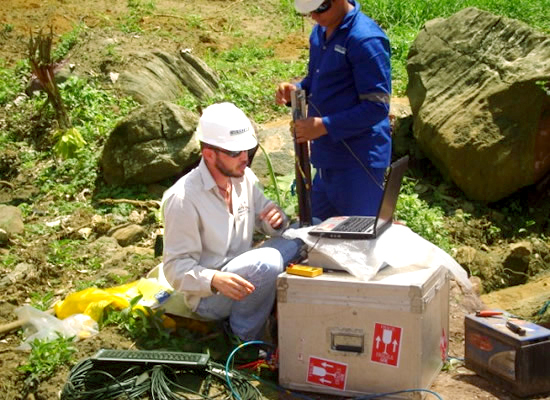 In these tests, the seismic sources and geophones are coupled to facilitate the identification of the S wave. 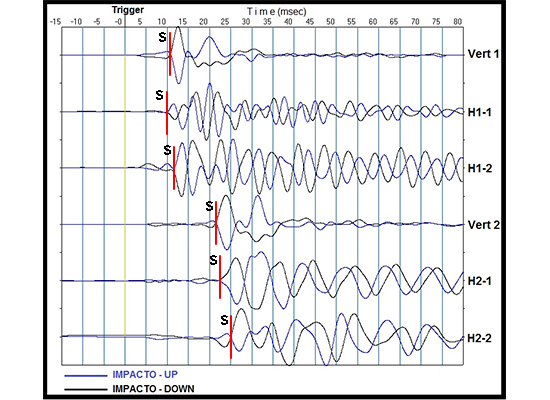 In an "Crosshole" essay the SPT sampler can be used as a source of seismic waves (see the figure below). The ASTM D4428 norm presents the details for performing those tests.